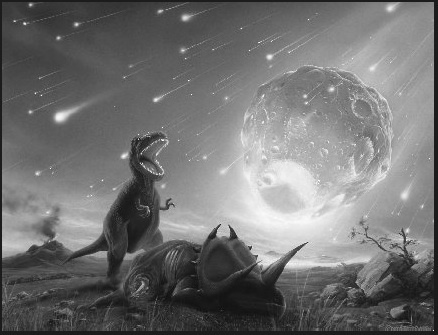 Depiction of meteor crashing into the Gulf of Mexico in the late Cretaceous Period. Extraterrestrial evolution is a topic of great interest to me in a number of ways. The thought of this may be bizarre to many people, but perhaps it shouldn’t be. There are four factors that come immediately to mind. There are probably billions of planets in our Milky Way Galaxy and quadrillions in other telescopically visible galaxies. Scientists disagree on how many of these other worlds might generate life, but few think we are alone. Even the Vatican is very open to the concept of extraterrestrial intelligent beings. Some great cosmological thinkers have posited the idea of panspermia, including Dr. Chandra Wickramasinghe and the late Sir Fred Hoyle (1915–2001). Panspermia is defined by Google as the theory that life on Earth originated from microorganisms or chemical precursors of life present in outer space which were able to initiate life upon reaching a suitable environment. Today a scientist in the UK named Professor Milton Wainwright is sending up balloons to the stratosphere to discover microbial life from space. Think spores traveling on comets etc. Though it seems to me that much evidence points to the idea that Earth has been visited multiple times by extraterrestrials, thoughts and theories about extraterrestrial evolution do not depend for their validity on extraterrestrial visitation. The fourth factor is an open question: Would such life follow a set pattern similar to life on Earth, or would extraterrestrial evolution take an entirely different path or could both ideas be true? This blog post will deal mostly with this fourth factor, that is, the open question. It has been both rumored and openly stated that NASA and JPL have quashed reports and evidence of life on Mars and other spheres. 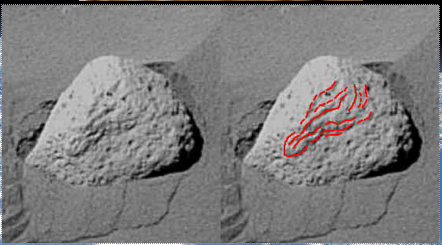 Most prominently I think of assertions made by Dr. John Brandenburg, formerly of NASA, about advanced life on Mars; and of evidence of certain findings of primitive organisms (crinoids) visually identical to Earth organisms discovered by Dr. Richard Hoover, 46 year veteran NASA astrobiologist and “Inventor of the Year”. In fact, I wrote a blog post about that a few years ago that can be accessed HERE. This is particularly important to the the rest of my thinking on this subject of extraterrestrial evolution. If the organism found by JPL on Mars is, in actuality, largely identical to those found on Earth, it seems to point to the idea that extraterrestrial life might always or often evolve in the same or similar manner. One frequently discussed concept that follows in this direction is the controversial idea that some extraterrestrials who have purportedly visited the Earth are Reptilians. The theory goes something like this: if the dinosaurs who once inhabited the Earth were not killed off by a comet or large meteor which struck the Gulf of Mexico at end of the Cretaceous Period, would they have perhaps evolved into self conscious bipedal beings who might roam the galaxy? And if so, is it not possible or indeed likely that on other suitable planets in the galaxy or beyond such Reptilians might exist, if in fact, evolution follows a similar model everywhere? In this discussion somewhere, one must consider non-human very intelligent life forms right here on Earth that have not developed with bi-lateral symmetry. I am thinking here of cephalopods like squid. That might derail the similar evolution everywhere theory as the sole way life could evolve. On the other hand, is it possible or likely that evolution throughout the cosmos looks nothing like Earthly evolution? I’d say certainly that is possible and in certain circumstances probable. 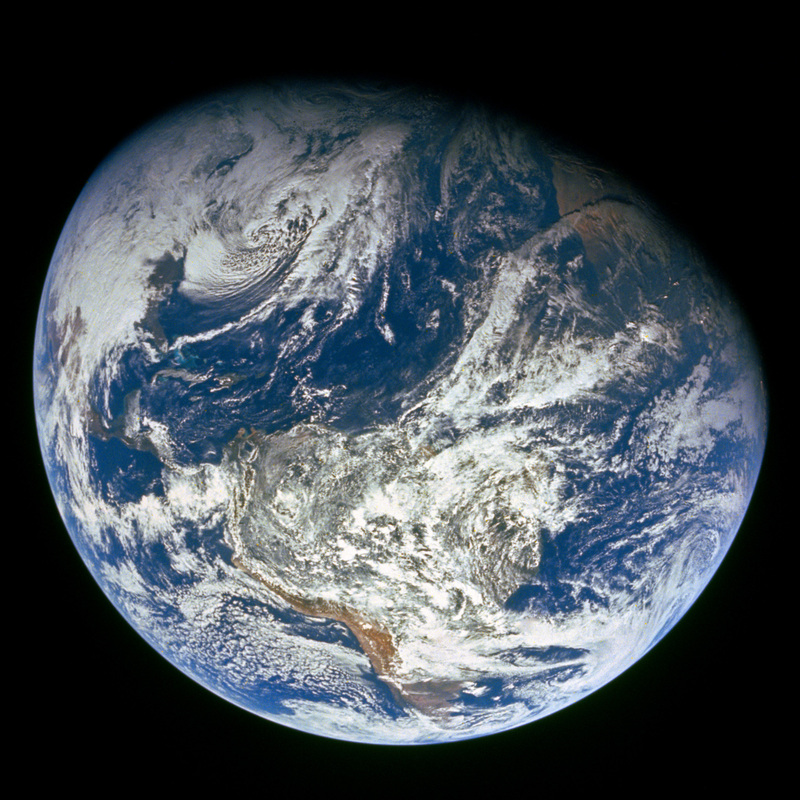 One probable circumstance resulting in a different evolutionary pattern might be an environment where the building blocks of life are not carbon based or not dependent on water or oxygen. Dear Reader, does your definition of “life” depend on breathing or respiration? Furthermore, should it? Perhaps consciousness is a better definition of life than taking breath. But are these ideas of evolution in the cosmos mutually exclusive? I don’t think so. Ponder this: perhaps life develops in a similar evolutionary pattern where carbon and water are available, and totally differently where they are not. I am not stating conclusively that this is the case, but it certainly provides food, no a feast, for thought. 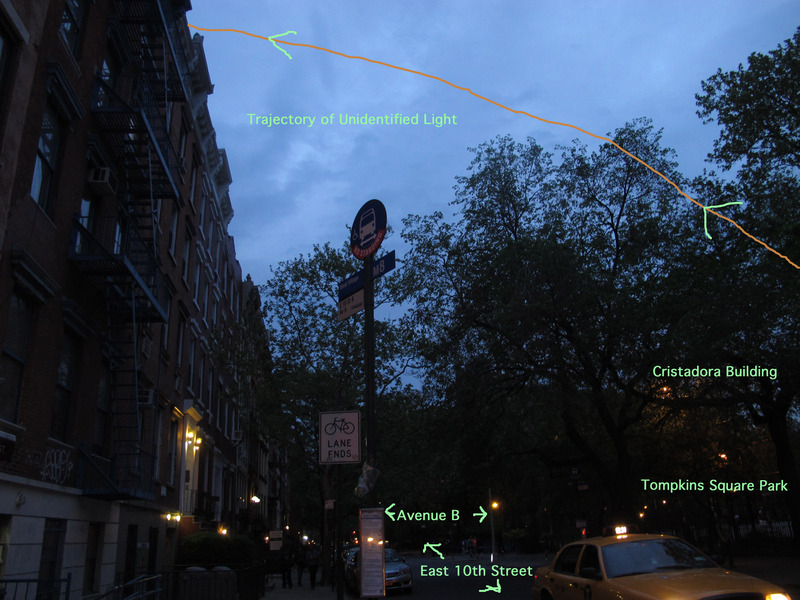 In the past on this blog I have pointed toward what I thought is/was the direction of “disclosure”. Now I am seeing a provocative new direction becoming widespread regarding contact with possible extraterrestrials. This is not entirely new, but the sudden widespread proliferation of these ideas on two entirely different fronts is to me a sign of things to come, a Zeitgeist if you will. The two fronts are a.) the edge science community and b.) the ufology/experiencer community. At a meeting of the American Association for the Advancement of Science in San Jose (February 2015), Dr. Seth Shostak of SETI, expressed the opinion that the time has come to begin the proactive search for contact with extraterrestrials. Since 1960 (first incarnation) SETI (Search for ExtraTerrestrial Intelligence) has pointed an array of radio telescopes at the heavens in hopes of discovering a radio signal from another civilization in space. There have only been minor results. The criticism of this method is simply that the “radio age” on Earth has been short, beginning in the 2oth Century and tapering off in the 21st Century, so why radio waves? See Stanton Friedman’s argument here. Shostak believes that we should attempt to send the contents of the Internet out toward “goldilocks” exoplanets that are being discovered currently. The assumption here is that these planets are most likely to harbor technologically advanced beings. (Forgive me, I digress here to multiple daydreams of gelatinous squid-like aliens reading my blog [and others], watching multiple cat videos, and seeing accounts of humans murdering one another and destroying their only environment.) This does not account for non-carbon based life forms that may exist and assumes a similar path of evolution. But that is a subject for another post. One of the most popular questions in the UFO community is “What does the Government know about UFOs and any life in the cosmos? What are they not telling us?” Many books and researchers have concentrated on this subject. The contemporary person that immediately comes to mind is Rich Dolan and his trilogy UFOs and the National Security State. On this blog, I have written in the past about the wish for “disclosure”. Disclosure is the concept, popular in ufology, concerning the hope that at some time in the future the government will reveal what they know about UFOs and extraterrestrial life. It has been my hypothesis that any disclosure would come slowly, if at all, and keep pace with obvious scientific discoveries. When consensus opinion catches up with the reality of what clearly is, gradual disclosure can be made. 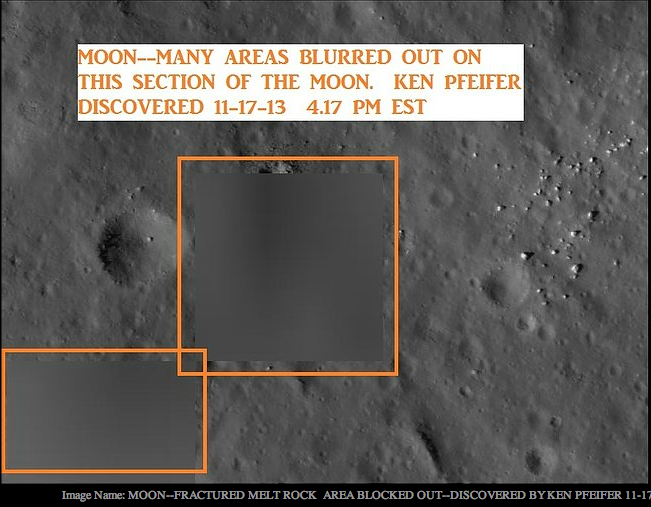 An example of purposely blurred photograph of the moon discovered by Ken Pfeifer. Notice: I have spent quite a bit of time adding links to this post, while trying not to add too much of my personal opinion. If you are interested in lunar anomalies, you are well advised to follow these links, where you may find some compelling images and information. Then you can make up your own mind about these phenomena. There’s a lot we know about the moon: It’s roughly one-sixth the size of the Earth, is about 4.6 billion years old, is approximately 238,000 miles distant from the Earth, has no atmosphere, and is covered with fine gray powder. There is more water in the moon than was once thought. Humans have walked on the moon during six Apollo missions, and we’ve sent many more probes there to map it and study it, but somewhat oddly NASA hasn’t sent humans back there since the 1970s. As I write this, China has an unmanned probe called Jade Rabbit (or Yutu in Mandarin Chinese) on the lunar surface.